The Jaslok Community Ophthalmic Center at Sankara Nethralaya offers free services to those with a family income of less than Rs. 7000/- per month. 1992-1995: Camps conducted with the help of NGOs especially the Tulsi Trust. 1995-1997: An entire floor in Mahyco block dedicated for community services. 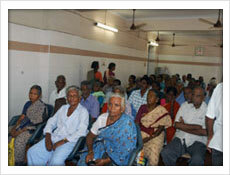 1997-1999: With increasing demand, a separate Hospital started for free patients at Pammal in the outskirts of Chennai. 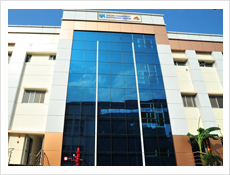 1999 onwards: Jaslok Community Ophthalmic Center started in the heart of Chennai close to Sankara Nethralaya Main Hospital. 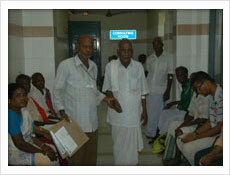 In a developing country like India, rural population still have difficulty in accessing quality eye treatment. Sankara Nethralaya recognized this need early on and has put in an elaborate system to identify patients in near by Villages with eye problem; bring them to the main Hospital; operate on them; give them glasses and send them back to their houses - all free of cost. Even the food requirements are met with. Our efforts are whole heartedly supported by Social Service Organizations such as Tulsi Trust, Lions Club, Singvi charitable Trust, Sai Trust and by many good hearted individuals. Interview will be at Medical Research Foundation, No 18 College Road, Chennai 600006. Observing the senior surgeons perform surgeries. Wet lab training on animal eyes. Enhanced training on the virtual reality module. Augmentation of OPD skills e.g., Gonioscopy and Indirect Ophthalmology. Accommodation: Residential accommodation will be provided at nominal cost to those who are selected subject to availability. While allotting accommodation, preference will be given to out station candidates. During the 2- months period candidates are not allowed to take any leave/exams. Selection is purely on merit: The applicants undergo a multiple choice question test related to Cataract surgery and ophthalmic basics. Our senior faculty shall then interview short listed candidates. Usually results are announced the same evening. Candidates employed elsewhere should produce a No Objection Certificate from the employer at the time of interview and have the relevant certificates in the original. Practice and personal profile of male and female ophthalmologists in India. Rupak R, Debmalya D, Saurabh K, A Mukherjee – Accepted in Indian Journal of Ophthalmology April 2015. Practice and personal profile of male and female ophthalmologists in India. Kumar S, Krishnendu S, Rupak R, Parthopratim D M - Indian Journal of Ophthalmology volume: 63, Issue: 6, Page: 482 – 486.